The list of teams left in contention is down to four after the semi-finals saw Melbourne and Collingwood through, Hawthorn and GWS out. Here’s my five talking points from the weekend. Did the talk get to Toby? After a week where his name was spoken about perhaps more than any other player in the league, Toby Greene would’ve loved to get us chatting for the right reasons with a match-winning performance on Saturday night. Instead Greene, arguably GWS’ most crucial player, was well held by his Collingwood opponent Brayden Maynard, ultimately failing to have any kind of scoreboard impact. With Josh Kelly unavailable and Jeremy Cameron misfiring in front of goal (kicking only 1.3 for the night), the work was left to too few in a GWS side that came achingly close. Stephen Coniglio capped off an outstanding season with 30 touches and two goals, while Lachie Whitfield only continued to enhance his reputation after an All Australian season. Much praise was lauded upon Hawthorn during the year for their ability to return to finals after a shock miss in 2017, but their September campaign means they’ll finish the season with a bitter taste in their mouths. Yes, the Hawks squeezed into the top four on the ladder this year – just barely – but all things considered it would be fair to suggest that maybe had more to do with a handy fixture than it did a genuine return to contender status. There’s never anywhere to hide when it comes to the finals and in both of their matches Hawthorn have ultimately found themselves outmuscled by superior opponents. 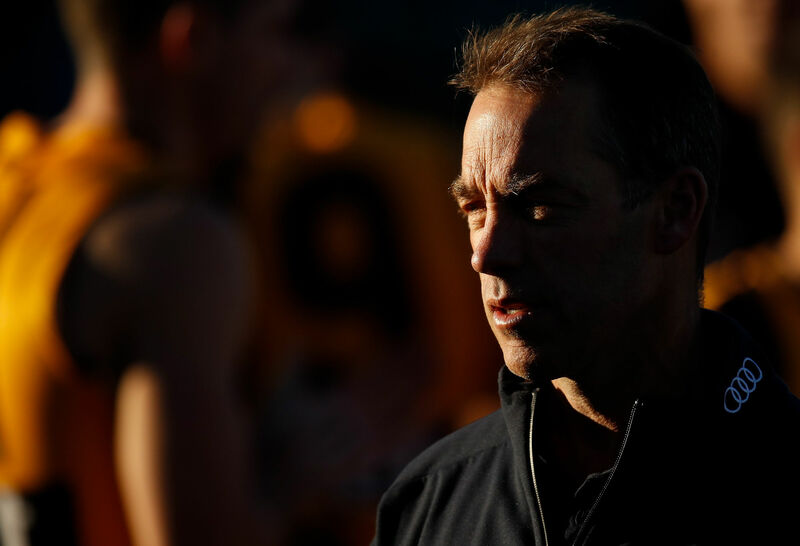 What’s next for Clarko and Hawthorn? A top-six finish in 2018 means they’ll get one of next season’s harder fixtures, and so a serious challenge awaits. If talk of a supposed salary cap crunch at the GWS Giant is true, then the 2018 offseason is set to be a massive one for them. Some have claimed the Giants need to move out as much as $1 million from their salary cap, and we already know that Toby Greene has voluntarily taken a 2019 paycut to help make the numbers add up. The future of Dylan Shiel has been speculated on plenty, but Will Setterfield, Tom Scully, Josh Kelly, Rory Lobb and Stephen Coniglio have all been discussed as potential departures in either the short or long term. Unfortunately with player salaries kept secret there’s little in the way of facts to build our speculation upon, so for now all I’ll say is: watch this space. This finals series has already seen a number of massive clashes between historic titans at the MCG, but none so far has been as big as a Richmond vs Collingwood MCG final will be. It’s often said that the preliminary finals produce a crowd and atmosphere that is almost superior to the grand final itself, simply due to the fact that the crowd features a large proportion of genuine fans. A crowd of ninety-thousand plus on Friday night is essentially a certainy, and they’ll get to see Collingwood have their third crack at ending Richmond’s MCG streak. After a hard fight this week, I suspect the Pies might not have it in them to topple the Tigers – but you’d be a fool to write them off entirely. Can Melbourne go all the way? The comparisons to the Bulldogs of 2016 and Tigers of 2017 have been numerous and not unreasonable – if we’re all now subscribers to the belief that momentum wins premierships, it’s hard to ignore Melbourne. Finals matches reliably reveal character, and after a season where we regularly asked if they were mentally weak, the Dees have proven they are by no means easybeats. They’ve been tried and tested in both of their finals matches on both occassions have come out not just on top, but comfortably so. This week they go to play West Coast in Perth, a team that they defeated at the very same ground just a little over a month ago. Of course, that was a West Coast side that missed Josh J Kennedy, and lost Jack Darling to injury early – it won’t be so this time around. My early tip is definitely the Eagles, but Melbourne-mentum is a force to be reckoned with.